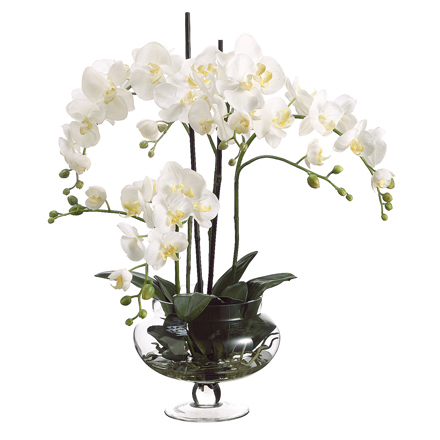 Stunningly beautiful, this 25" phalaenopsis orchid silk flower arrangement will make a bold statement all on it's own. If you're an orchid lover but don't have a green thumb then this artificial orchid arrangement is perfect for you. No maintenance and blooms that will never wilt or die. High quality silk orchid flowers resembling the real thing will make this flower arrangement a beautiful addition to any room of your house. Height - 25", Width - 22", Depth - 22"